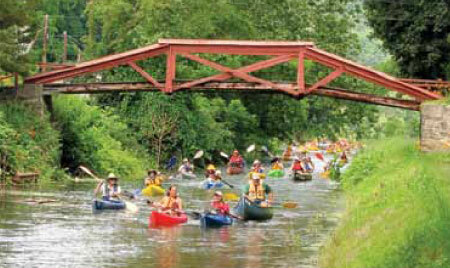 Help assure its future by supporting the Friends of the Delaware Canal, the community of people who care. By implementing a planned gift to the Friends of the Delaware Canal Legacy Fund, you will become part of a long and admirable tradition of coming together to ensure that the Delaware Canal is preserved and will continue to share its history and natural assets in even better ways. The eleven members of the Friends’ Board of Directors have put out a challenge. Each dollar contributed by you and other Friends’ supporters will be matched from the Friends’ Board of Directors’ $10,000 contribution pool. 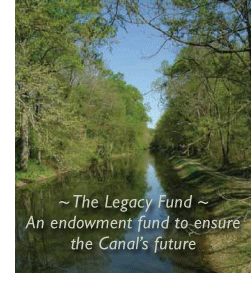 The goal of the Friends of the Delaware Canal Legacy Fund is to provide a sustainable and reliable source of additional income to support the mission and activities of the Friends into the future. If an additional $20,000 can be contributed, the Legacy Fund balance is expected to reach $200,000. At that level, the Legacy Fund can provide 10% of the Friends’ annual income, which is used to fund our projects, activities, and advocacy work. Contribute now by filling out the form below, or mail your check to Friends of the Delaware Canal, 145 South Main Street, New Hope, PA 18938. There are a variety of planned giving options that can fulfill your financial goals and foster the long-term sustainability of the Friends, its mission and services. Outright gift of cash, marketable securities, or real estate. Contributing appreciated assets creates current income tax savings and possible capital gains savings. Gift from a tax-deferred retirement plan. Naming the Friends of the Delaware Canal as a beneficiary of your IRA, 401(k) or qualified plan is simple and convenient. This can normally be done through the custodian without the need for complicated paperwork. It can also achieve greater tax efficiency for these fully taxable funds. Bequest in your will. A bequest makes possible a substantial charitable gift in memory of an individual and creates estate tax savings. Gift of a life insurance policy. Contributing an existing policy and possibly annual gifts to cover premiums or naming the Friends in a new policy makes possible a large future gift and possible current and future income tax savings. A recognition society of contributors to the Friends of the Delaware Canal Legacy Fund. The Founder’s Circle was established to recognize and honor those individuals who have provided for the future of the Canal through a bequest or other planned gift. Membership is generally reserved for those who have contributed or committed to a gift of $5,000 or more. Members are invited to a Founder’s Circle Reception and can be listed in the annual recognition issue of Canal News and on the Friends’ website. Please let us know if you qualify as a member of the Founder’s Circle. It is the commitment rather than the amount that is the basic factor in qualifying as a Founder’s Circle member. Make an outright gift of cash, securities, or real estate to the Friends. Name the Friends as a beneficiary of your IRA, 401(k), or other qualified plan. 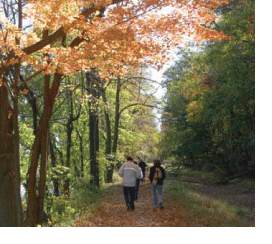 Make or revise your will directing a bequest to the Friends of the Delaware Canal. Name the Friends as a primary or secondary beneficiary or owner of a new or existing life insurance policy. The purpose of the Legacy Fund is to provide a sustainable and reliable source of additional income to support the mission and activities of the Friends in perpetuity. It shall be the sole repository of all funds received by the Friends of the Delaware Canal as gifts, bequests, or proceeds realized from the sale or disposition of non-cash items received and intended for the Legacy Fund. The Fund is wholly comprised of Vanguard money market and stock and bond index funds in accordance with the Investment Guidelines. These guidelines provide for a portfolio allocation of 60% equities and 40% fixed income and cash. Our Use and Withdrawal Policy permits withdrawal and use only of investment growth and income generated from the Fund, up to a maximum of 5% of the Fund value each year. It is the desire of the Friends of the Delaware Canal that all funds be invested productively, but safety of principal is a primary consideration. Prudent oversight of charitable gifts is the fiduciary responsibility of the Friends’ Board of Directors. To learn more about how you can help assure the future of the Delaware Canal and its Friends, please contact Susan Taylor, executive director, at 215-862-2021 or e-mail friends@fodc.org. Click here to download the Legacy Fund brochure. Note: The material presented is not offered as legal or tax advice.